As reported earlier, the 3rd schedule of Vijay 61 has kick-started in Rajasthan. We are told that one song, one fight scene, and few talkies portion are planned to be canned in this phase of shooting. Both Vijay and Nithya Menen will take part in this schedule. Photos of Nithya Menen in Jaisalmer airport can be found in social media pages. Team Vijay 61 is delighted with the track that AR Rahman has given to them. The song will supposedly signify the rise of a hero. Interesting right? 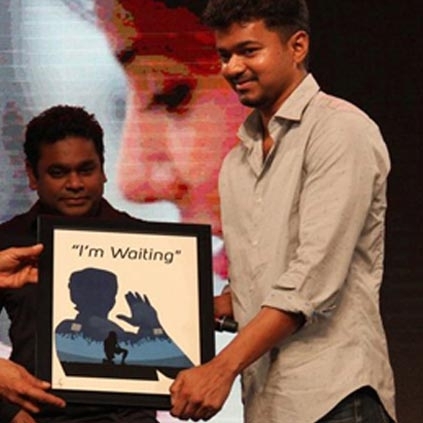 AR Rahman is composing for a Vijay film after ten years, and fans of both the stalwarts are excited about how the songs would be. People looking for online information on AR Rahman, Atlee, Nithya Menen, Vijay, Vijay 61 will find this news story useful.